The right software can add flare to any artist's' work. Flame Painter 3 is the perfect tool for just that! Your art will shine if put on the right canvas. It's hard to find a better place to polish your craft than Flame Painter 3, a lightweight but flashy image editor that you can get on sale for just $9.99 (approx. £8). Flame Painter 3 is the perfect tool to explore your inner artistic flare. 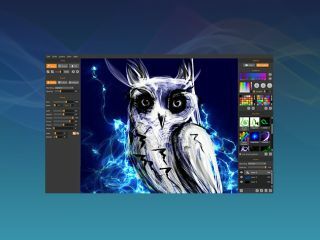 This unique paint software makes it easy to get to work on original artwork that can be enhanced with powerful lighting effects, design patterns, and vibrant backgrounds. Add in the exciting brushes that you can add from the online library and you'll be able to make your art truly pop! You can get Flame Painter 3 on sale right now for just $9.99 (approx. £8). That's a 66% savings off the retail price for a tool that will improve your art, so grab this tool today!